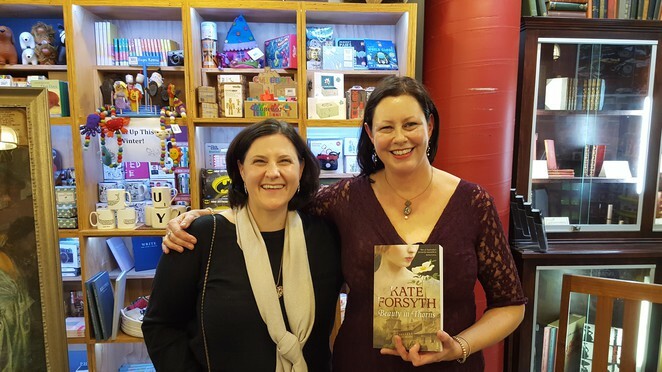 On 6 July, Berkelouw Books Balgowlah hosted a special evening to celebrate the launch of Kate Forsyth's latest tome Beauty in Thorns, published by Vintage Books. To hear Forsyth speak is a delight; sheer enthusiasm for writing the stories of women from history, interwoven with romantic legends of yore. For those not familiar with the author's work, she has written close to 40 books, including children's fiction and renowned historical novels for adults. One of her best-loved is The Wild Girl, the spell-binding tale of the woman who gave the Grimm Brothers their fairy tales. Forsyth's latest release tells the soap operatic saga of the women of the Pre-Raphaelite circle. In history, they were overshadowed by the achievements of the men in their lives, yet intrinsic to the legacy left by this avante garde group of Victorian artist/poets. If you are anything like me, you may have heard of the Pre-Raphaelites, without knowing much about them. I attended the Beauty in Thorns launch ready to be enlightened, only to realise the art the book celebrates, is more culturally pervasive than I realised. 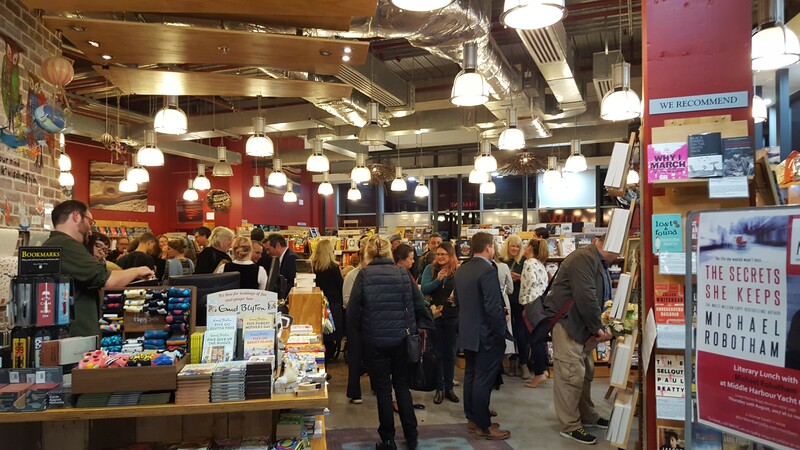 Before the book signing began, guests were treated to an account of the author's fascination with the 'Pre-Raphs', as she affectionately refers to them. When Forsyth was a poor uni student, she stumbled upon a copy of the haunting Proserpine by Dante Gabriel Rossetti, modelled on life-long love, Jane Morris (nee Burden). Choosing to forgo her bus fare and food for the week, in favour of buying the print, the novelist embarked on a career obsession with the lives of the free-loving, free-thinking artists who worshipped the unconventional beauty of their muses. As soon as I set eyes on the print of Prosperpine, displayed for guests in all its glory, the penny started to drop. I was more familiar with the work of this famous movement, than I thought. And hearing the snippets of forbidden love and exhumed bodies, teased by Forsyth, how could the lives of the Pre-Raphs make for anything but a brilliant, page-turning read? I wasn't disappointed. For fans of historical fiction and the Victorian era, this is a soul-satisfying read, keeping you up late at night, desperate to know the fate of Rossetti's tortured lovers, Lizzie Siddall and 'Janey' Morris. The beauty of this story is it's changing perspectives between the women of the Pre-Raphaelite circle, giving themvoices they never had in life, as objects only of the male gaze. Beauty in Thorns is an engrossing read, from start to finish. 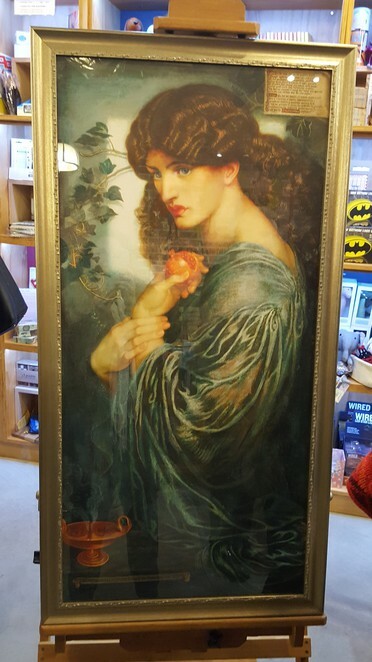 It spans a period of fifty years from the rise and fall of Lizzie, Rossetti's original muse, the heartbreak of Georgie, the long-suffering wife of Ned Burne-Jones, Janey, stable girl turned apex of the Rossetti/Morris love triangle and Margaret Burne-Jones, the Sleeping Beauty muse of her father's greatest works. 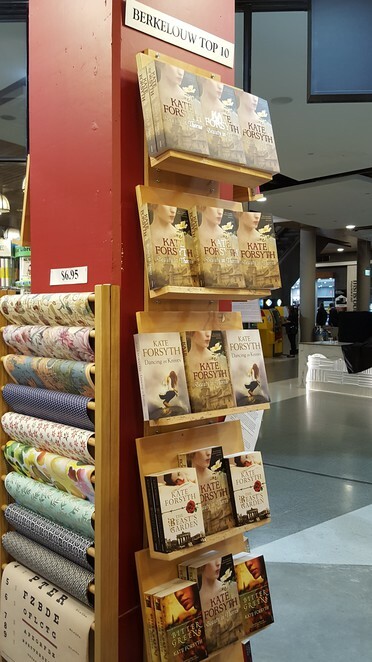 Forsyth does not rush her heroine's stories and she beautifully charts their lives, loves and tragedies, against a backdrop of Victorian social proprieties and the impossible situation of women in a man's world. The meticulous research that has gone into the drawing of these women, enshrined in the art of their day, adds an authenticity that will sweep the reader along and quite possibly spark an obsession for all things Pre-Raphaelite. As I reach for Kate Forsyth's back catalogue of novels, I can't help wonder if this was her cunning plan, all along. 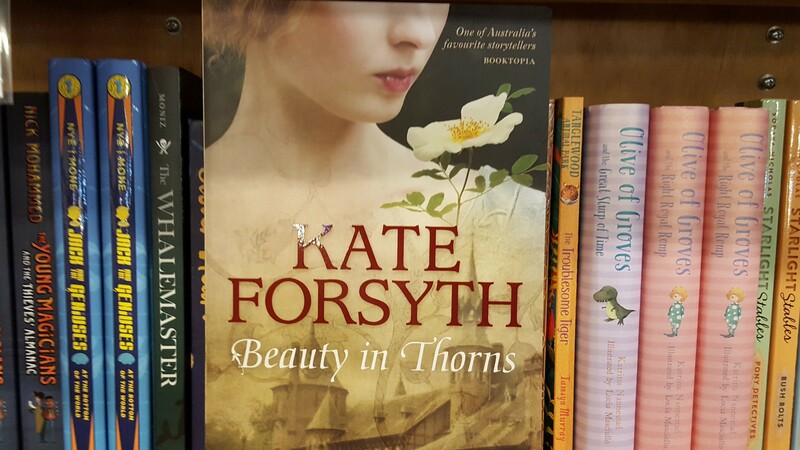 Brydie Wright's well researched and informative review of Beauty in Thorns have made it a "must read" for me. Framing the review within the context of the book launch made it even more convincing.